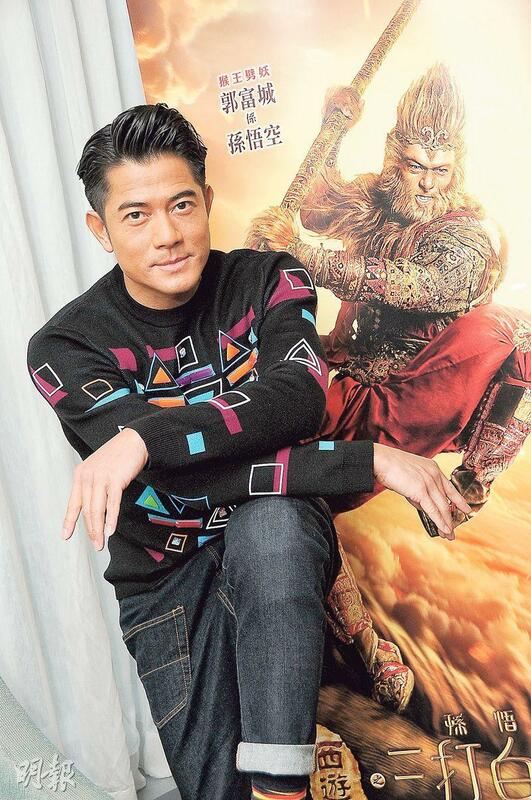 Aaron Kwok Fu Sing in the film THE MONKEY KING 2 (SAI YAU GEI ji SUEN NG HUNG SAM DA BAK GWUT JING) played Sun Wukong. 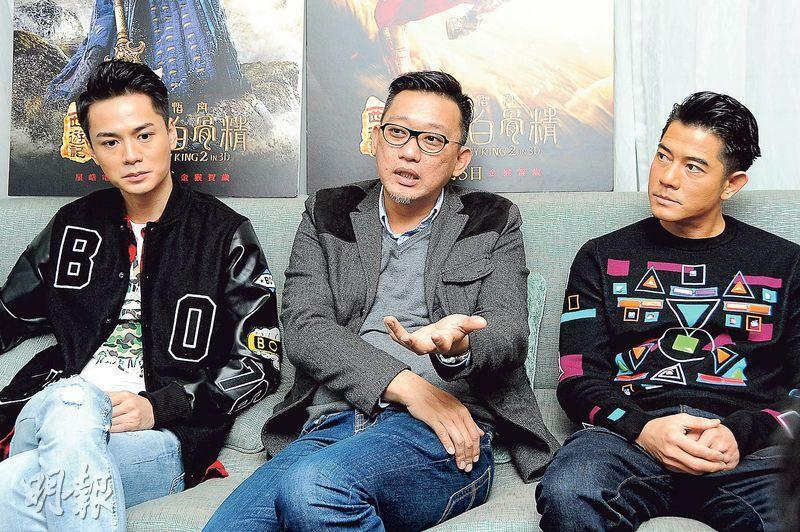 Earlier he and director Soi Cheang Po Shui as well as the Sand Monk Law Chung Him were interviewed together and shared their production experience. 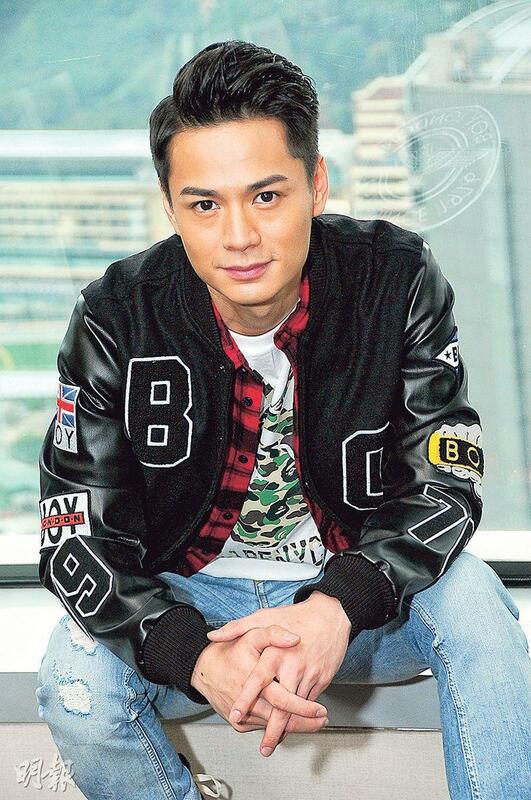 Sing Sing admitted that before the shoot he expected the difficulties, which was 100 times more difficult than he expected. Thus this film was the most difficult in his film career. Aside from the difficult fight scenes, Sing Sing's special effect make up added to the pain. He said, "Aside from the long time in make up, I also had to wear a muscle suit to perform. The bottom of the suit was stitched with fishing lines and at least 5000 stitches, but my skin was rather sensitive and couldn't stand even one strand. So at the time I felt like a thousand needles were poking at my heart." The muscle suit was also very stuffy. 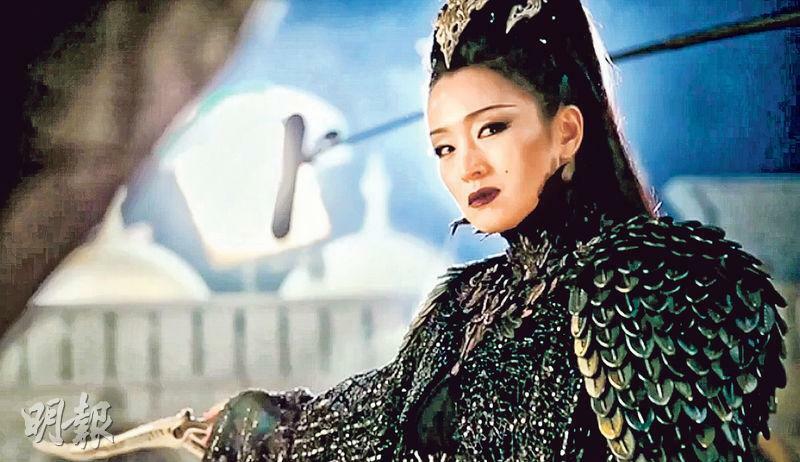 Although they shot in zero degree Celsius temperature, Sing Sing was already sweating from one or two minutes of dramatic scene. The crew had to grab the air gun to blow between his prop hair and the costume. He remembered in one scene, action director Sammo Hung Kam Bo did over a dozen takes for better results. After a good take, he saw his own sweat flying out and he was stunned. Him Jai also had to perform in a muscle suit and he expected that it would be difficult. However he did not have it as bad as Sing Sing. He still had to fight until he was drenched though and his make up kept having to be fixed on his face. His fight scene with Sun Wukong took a month to shoot. Sing Sing said, "After I fought Sandy and Piggy, they teamed up against me. Actually that was just dessert, the fight against the White Bone Spirit was the major scene. (Would you watch it with the girls?) On the set of course I would, but in character I wouldn't. However she really deserved the special treatment. As an international superstar she had no arrogance at all. She would give a lot of suggestions too. Although it was her first time on the wires, she was not afraid at all. She even had a lot of fun. Even with many bad takes she would not ask for a break in between. This professionalism is very worth learning from." Sing Sing also said that this time he had a lot of emotional scenes, but because of the monkey make up expressions were difficult. Thus he would act more with his eyes. In order to help Sing Sing with wielding the King Kong staff well, the team asked an expert to teach him. Sing Sing said, "That coach started training with a staff at age six. When he wielded it it was all 'zoom zoom', with me it was all 'zip zip'!"